This kit includes everything needed to raise 50 silkworms. 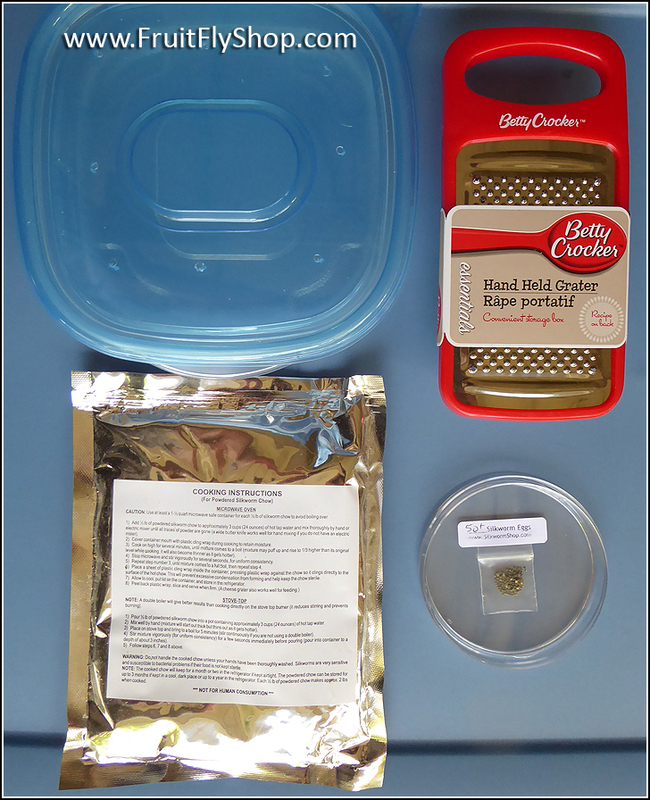 YOU GET- Either 50 silkworm eggs or 50 live silkworms, 1/2lb of dry mulberry food (makes 2lbs when prepared), a container to house your silkworms in (container model may vary), a food grater to use exclusively to grate the silkworm food onto the silkworms (grater model may vary) and full instructions that are easy-to-follow. Should you have any questions, just let us know. We're here to help.